Age predisposes to diseases affecting virtually all parts of our body. This is especially true for the eye where the two major eye diseases, age related macular degeneration and glaucoma, account for two thirds of all cases of blindness in Europe. With the ageing population in all Western societies and the limitations of current therapies we face a dramatic increase of blindness due to diseases of the ageing eye. The impact on the individuals affected, on the societies and their economy will be challenging. The Ageing Eye Conference was organized by Hendrik Scholl and hosted by him together with Frank Holz from the Dept. of Ophthalmology, University of Bonn and implemented by EuroVisionNet and the European Vision Institute. 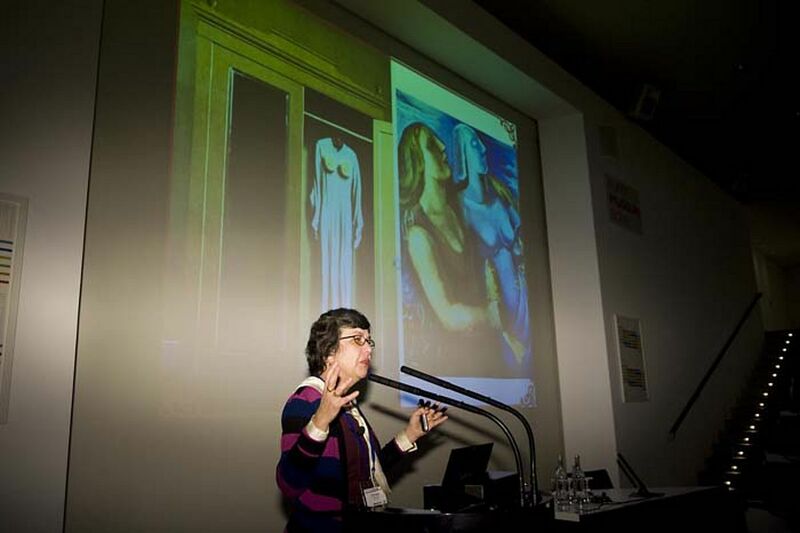 March 20-21, the Ageing Eye Conference took place in the Kunstmuseum Bonn. World-leading experts in the fields of epidemiology, health economics, age-related macular degeneration, glaucoma, mechanisms of ageing, and stem cell research met to discuss worldwide causes of blindness, state-of-the-art research of the pathogenesis of the major age-related eye diseases and their socioeconomic impact. The current options for treatment and rehabilitation were also discussed and future treatment strategies were envisaged. The meeting was a great success in stimulating a multidisciplinary discussion. It underscored the enormous impact on societies and patients. The latter became tangibly evident because Macdonald Curran from the Macular Disease Society UK and AMD Alliance International and Christina Fasser from Retina International presented the patient’s perspective. The meeting stimulated exchange of ideas between research groups, discussion between patients and researchers as well as between persons responsible for European research funding and the researchers themselves, and also stimulated the private-academic partnership by bringing together people from academica and industry. 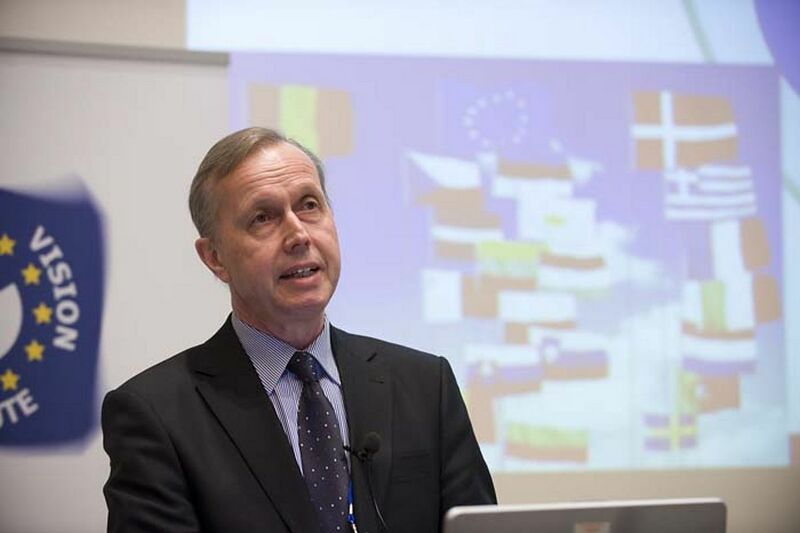 Eberhart Zrenner, chairman of the European Vision Institute, opened the meeting and chaired the first session on the global perspective for causes for worldwide blindness. Serge Resnikoff presented data of the World Health Organization showing that most tropical eye diseases have been progressively fading out, mainly because of the improving socio-economic situation and more recently because of signifcant expansion in onchocerciasis and trachoma control. In contrast, chronic conditions associated with socio-demographic changes are on the increase everywhere. Utility analysis as methodology which objectively measures the quality-of-life (QoL) associated with visual loss was presented by Gary Brown. It can be used to compare the loss in QoL due to virtually any disease. He reported that the public is woefully unaware of the effect of visual loss upon QoL and even ophthalmologists can underestimate the QoL diminution associated with visual loss, as evidenced by a study in which the ophthalmic QoL in AMD patients was underestimated by 96% to 759%. The second session broached the issue of the fundamental processes of ageing and rejuvenation. Oliver Brüstle showed that the availability of human embryonic stem cells (hESCs) and induced pluripotent stem cells (iPS cells) provides an opportunity to generate virtually unlimited numbers of tissue- and patient-specic human cell types under controlled conditions in vitro. An enormous potential of these pluripotent stem cell-derived somatic cells lies in regenerative approaches. A recent break-through was the derivation of long-term self-renewing hESC-derived neural stem cells (lt-hESNSC) that show both long-term stability and phenotypic plasticity. They appear promising for future cell-based neural repair after. Lenhard Rudolph presented evidence that telomere shortening contributes to the impairment in stem cell function, tissue aging, and cancer formation during aging. He reviewed the current understanding of the role of telomere shortening in these processes. In the presentation of Solon Thanos, the regenerative ability of monkey retinal ganglion cell (RGC) axons in organ cultures was discussed and compared with that of the rodent retina. His group could show or the first time that sub-primate central neurons retain the ability to regenerate their axons in vitro. The principal requirements for growth are contact to laminin-1, expression of alpha6-integrin and sustained expression of GAP-43. Retinal stem cells (RSCs) were presented by Yvan Arsenijevic as good candidates to repair the retina. Neonatal mouse RSCs derived from the radial glia population have a different potential to proliferate and differentiate compared to adult RSCs. His group observed that adult mouse RSCs, depending on the culture conditions, have a marked tendency to transform, whereas neonatal RSCs show subtle chromosome abnormalities only after extensive expansion. These characteristics should help to identify the optimal cell source and culture conditions for cell transplantation studies in the retina. Frank Holz chaired the third session on age-related macular degeneration (AMD). He presented recent advances that have improved the understanding of pathogenetic factors especially of late atrophic AMD including the role of accumulation of toxic byproducts of the visual cycle in the retinal pigment epithelium with age, drusen biogenesis, aberrant systemic and local complement activation, nutritional risk factors as well as predictive clinical biomarkers. Based on these developments, therapeutic targets have been identified, and dry AMD clinical trials are currently underway. Caroline Klaver asked the question if dietary antioxidants reduce the genetic risk of AMD and presented data derived from the Rotterdam study. She provided evidence that a high dietary intake of antioxidants may indeed reduce the risk early AMD among those at high genetic risk. Hence, it may be warranted to provide advice on diet in young susceptible individuals to postpone or prohibit the onset of late AMD. 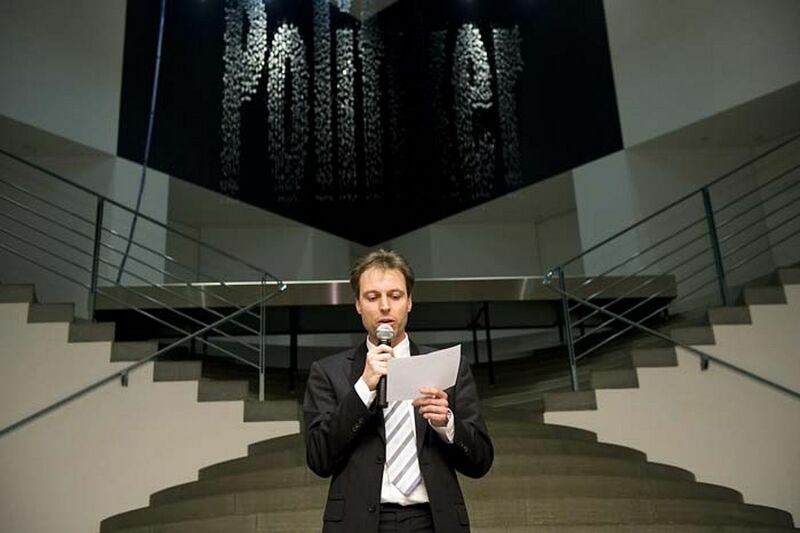 Philip Luthert pointed out that that no disease model is a perfect replica of the condition it seeks to mirror – which is especially true for rodent models of AMD, because these animals lack a macula, but he also showed that these models provide a critical set of tools for understanding the human disease. He underscored the importance of integrating human models of AMD such as Sorsby’s fundus dystrophy and suggested that all models should always be seen in the context of the gold standard of the disease itself. Victor Chong showed data collected over the last decade on serum proteins as biomarkers of AMD including matrix proteins, complement factors, and cytokines. The conceptual idea that the Bruch’s membrane is a modified arterial wall allows to investigate cytokines in a protein microarray system which was initially developed for atherosclerosis. After these three scientific sessions, there was a special presentation “Ageing Eye in Art” by Pinar Aydin. For 30 years, she has been collecting pictures from all around the world of people or painters who have eye diseases. In her presentation she showed the reflection and the impression of the ageing eye and ageing in those paintings. 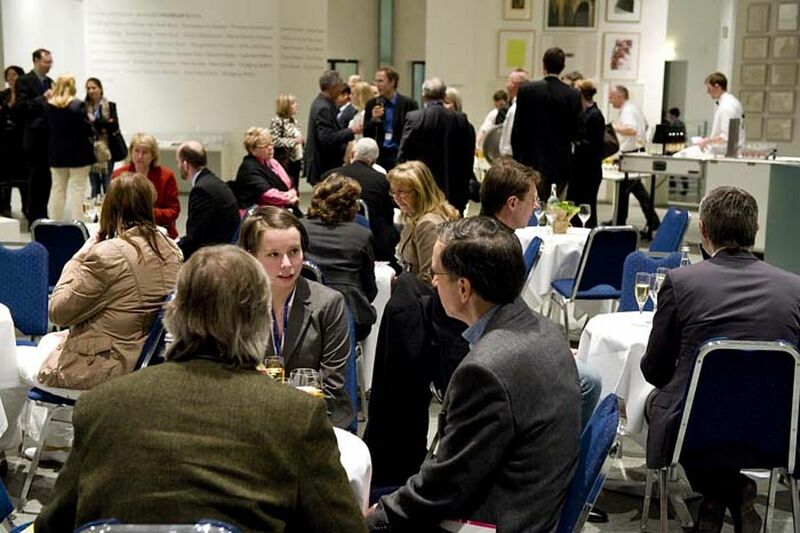 The first day was then concluded by a dinner in main hall of the Kunstmuseum Bonn. The second day started with a presentation of Manuel Hallen from the European Commission. He showed that in the health area, an increasing emphasis has been placed on "translational research", where the goal is to transfer knowledge and skills from basic research to applications. Ulrich Welge-Lüßen explained the specific anatomical processes during ageing that are relevant for glaucoma in the fourth scientific session. He showed that these processes in the anterior segment of the eye can be very different from the processes observed at the optic nerve head. Norbert Pfeiffer showed that 20 years after newly diagnosed and treated open-angle glaucoma, 54% of patients are blind in one eye and 22% blind in both eyes. These figures strongly suggest that further progress in therapy is urgently needed. This is especially true because the demographic ageing will result in a dramatic increase of glaucoma. Nomdo Jansonius showed that – despite decades of research – only a limited number of glaucoma risk factors have been identified: intraocular pressure, family history, ethnicity, myopia and age. He also showed that several frequently used drugs seem to be associated with glaucoma‏ which is extremely relevant since the majority of the elderly uses systemic medication. Concluding the session on glaucoma, Paulus de Jong suggested explanations why cell-biological, clinical, epidemiological, genetic and rodent-experimental have often failed to create the expected breakthrough in glaucoma therapy. One reason and a major difference to AMD is e.g. the genetic attributable risk which is only 3-5% in open-angle glaucoma but more than 60% in AMD. More than 10 glaucoma classification systems, 20-25 distinct populations of retinal ganglion cells, and more than 500 compounds that were tested for neuroprotective effects are further factors that increase complexity and pose a challenge for researchers in the field. Melissa Brown opened the last session on the socioeconomic impact of ageing eye diseases and visual rehabilitation. She picked up the topic of utility analysis that was presented by Gary Brown in the first session and introduced quality-adjusted life-years (QALYs) as a unit to measure a gain or loss of value. The next step towards an economic analysis is cost-utility analysis using the unit of $/QALY (dollars per quality-adjusted life-year gained). This allows to compare cost-utility across disciplines and reveals that ophthalmic treatments are extraordinarily valuable from an individual, third party, societal or governmental perspective. Susanne Trauzettel-Klosinski pointed out that despite new treatment options for exudative AMD, many patients have persistent visual defi¬cits. Therefore, rehabilitation is important and the growing number of AMD patients requires an enhanced effort. The most important rehabilitation options are magnifying and contrast enhancing visual aids that prove to have a very high success rate to help regaining reading ability. Gary Rubin specifically addressed the factors that influence reading performance. He showed that visual acuity and contrast sensitivity are poor predictors of reading speed, whereas fixation stability and the size of forward saccades are strongly associated with reading speed which suggests that training programmes which improve fixation stability or perceptual span may be of beneft to patients with central scotomas. Hans-Werner Wahl highlighted that age-related vision loss unfolds negative impact on various indicators of autonomy and well-being of patients. He showed that (oositive affect is an important psychological resource of visually impaired older adults. His data further suggested that a dynamic balance between goal engagement and goal disengagement is important for visually impaired older adults. He also concluded that cognitive training should become an important intervention strategy in low vision rehabilitation and self-management programs. Hendrik Scholl, organizer and chair of the Ageing Eye Conference, concluded the meeting. In his presentation, he referred to recent successes in the identification of genetic susceptibility variants especially of AMD and discussed the routes of clinical translation of these findings. Novel biological insights have allowed to identify biomarkers and therapeutic targets. Genetic screening may have substantial predictive value for advanced AMD, but protein markers, e.g. complement proteins, may be even superior. So far, the genetic markers only allow to estimate disease susceptibility but do not correlate with disease progression once late atrophic AMD has developed. Therefore, the development of therapeutic intervention of age-related eye diseases remains a big challenge which is even more true because of the ageing population: worldwide in the year 2000, there were 600 million people aged 60+; there will be 1.2 billion by 2025 and 2 billion by 2050.